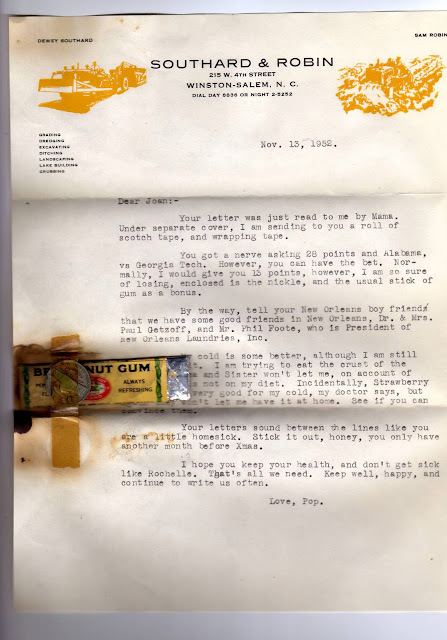 This was a cute piece of correspondence from a father to his daughter. There is typical fatherly advice and a veiled threat of support to do something about her New Orleans boyfriend. The gem is the stick of gum and the nickel taped in place for 60 years. Long forgotten but kept as a reminder of the relationship she once had with "Pop." When the label says "Always refreshing" I don't think they intended for someone to hang on to a piece for 60 years! I could chew it but,... only on a dare. 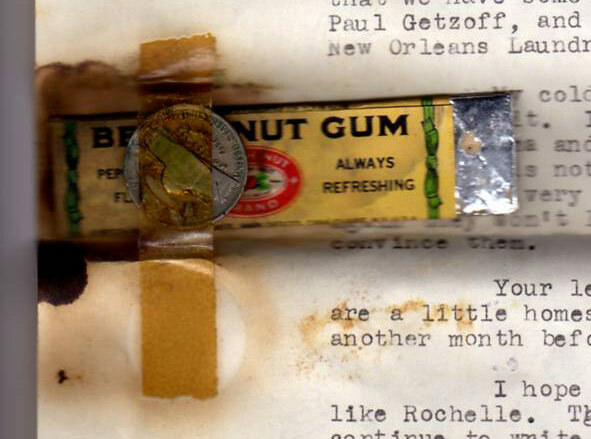 This gum has a history which got me curious about the history of chewing gum. The Aztecs and Maya harvested chicle from the chicozapote or the sapodilla tree. Thomas Addams turns a failed business partnership with Mexico's General Santa Anna into a Gum empire. 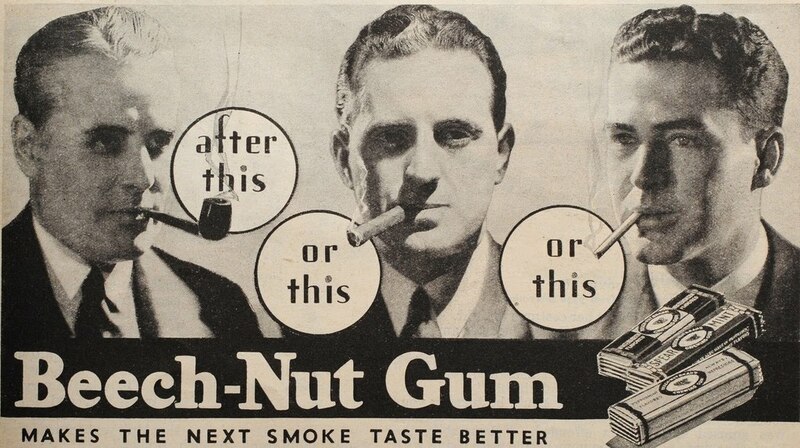 During the WWII a shortage of chicle caused companies to develop a polymer based gum. Today we chew a synthetic gum - hate to burst your bubble. There is plenty more history, some of it suspect, because the sources are unverifiable. When I started this post I had hoped that I had one of the last chicle (organic) based chewing gum sticks, however, given the assumed time frame of the change in manufacturing to polymer based gums...darn! I did discover that there is a company trying to distribute gum from the rain forests of the Yucatan peninsula in order to help preserve the region. The chewing gum is called Chicza and it's apparently made the "old fashioned" way and will not stick to clothes or sidewalks. It is even biodegradable. It may not be available in the US yet, but I believe it is coming. My name is Kelley Arnold and I am the Watershed Coordinator for the Stratford Area Watershed Improvement Group/Town of Stratford located on Prince Edward Island Canada. We recently received a small grant to develop/print an Acadian Forest Field Guide, aimed at youth from grades 3-6. We are in the development stage, and are frantically trying to gather all of the data and photos for printing at the end of April in time for distribution at our annual “Water School”. 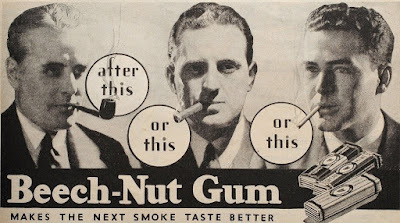 I have been trying to locate a good photo of the Beechnut company and an old product (for my American Beech page..although I have been told that no beech was actually used by this company! ), and discovered your photo through Google. I am inquiring as to whether I could get permission to use your photo within our field guide; the photo would be cited of course, along with a website reference at the back of the guide. Any information or permission(s) for use from your site would be greatly appreciated! Please feel free to contact me at this email address, or at 902-367-3605.